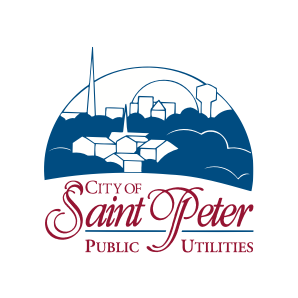 Southern Minnesota Municipal Power Agency generates and transmits reliable, fairly-priced, and environmentally responsible wholesale electricity to its 18 non-profit, municipally-owned member utilities in Minnesota. We also provide programs and services to help our members’ customers use energy wisely. Created by its members as a not-for-profit joint-action agency in 1977, Southern Minnesota Municipal Power Agency (SMMPA) utilizes a diverse energy mix of renewable energy, coal, and natural gas-fired generation to provide reliable electricity in an environmentally sustainable manner to its 18 member utilities and the 119,000 customers they serve. Every kilowatt-hour of electricity saved is a kilowatt-hour never generated. That’s why SMMPA works with its member utilities to develop, promote, and implement award-winning programs to help customers reduce their energy usage and help protect the environment. As customer-owned utilities, SMMPA and its members understand the need for stewardship that protects our energy resources and the economic wellbeing of the communities we serve. The Agency also advocates for its members and continuously monitors legislative and regulatory activity at the state and federal levels. We work with federal, state, and local policymakers to jointly develop and implement effective and responsible energy policies. As we look to the future, we believe our diversified energy portfolio, energy efficiency, and sustainability efforts will help meet the needs of our member utilities and their customers for years to come.